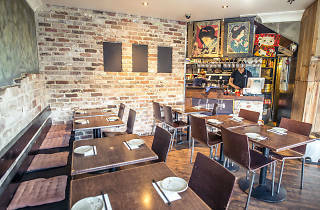 Don’t make yourself choose between Korean or Japanese – have both at Korean Samurai. 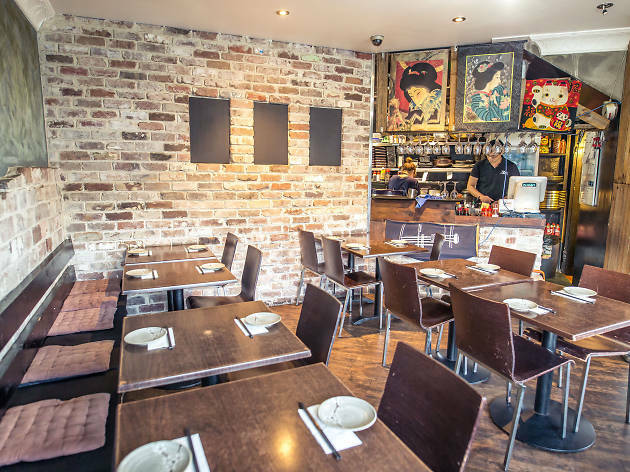 The blink-and-you’ll-miss-it restaurant is tucked away under the stairs at Cremorne Garden Plaza but don’t let its ordinary shopfront fool you. Inside is stylish and intimate with barbecues at each table to let guests grill their own dinners, or they can order from the restaurant’s Korean-Japanese menu. Start with Japanese entrees like gyoza or agedashi tofu then tuck into a Korean beef bulgogi or bibimbap. The truly hungry can order a ten-course banquet for just $49 per person.